American Eagle Day and National Bald Eagle Day are used interchangeably, as the day we celebrate the national bird of the United States of America. As our national bird, it symbolizes freedom, strength, honesty, wisdom and power. On this day in 1782, the Bald Eagle became our national bird, and an important national symbol. On this day, the bald eagle was added to the official seal of the United States. 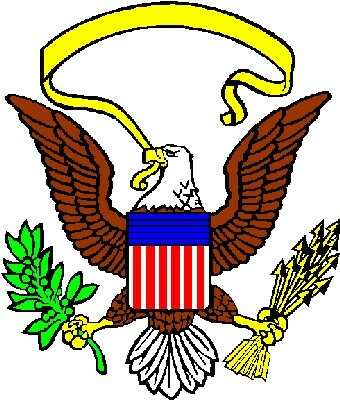 The bald eagle is portrayed holding 13 arrows in its left talon, symbolizing the original 13 colonies. In its right talon, it holds an olive branch, a symbol of piece. Did You Know? Our national bird almost became the turkey. The virtues of the two birds were hotly debated by Congress, prior to selecting the Bald Eagle as our national bird. Can you imagine eating bald eagles instead of turkey on Thanksgiving!? An important distinction: National Bald Eagle Day is defined as a national "observance", rather than a holiday. As a result, government offices, banks and business are open on this day. Learning more about our national bird. In 1995, then president William Clinton proclaimed June 20, 1995 as American Eagle Day. While neither of these presidential proclamations made the observance an annual event, the American public has celebrated it annually. This is a true tribute to the honor and respect we have for our stately and majestic national bird.